Happy Holidays! At LIFEDesigns we believe that everyone deserves the chance to celebrate the season of giving and be included. We provide services and supports to people with disabilities and work towards more inclusive communities that value active citizenship and fulfilling relationships. Every year we strive to spread cheer to the individuals we serve by making sure no one goes without gifts on Christmas. That is where our annual Angel Tree comes in! 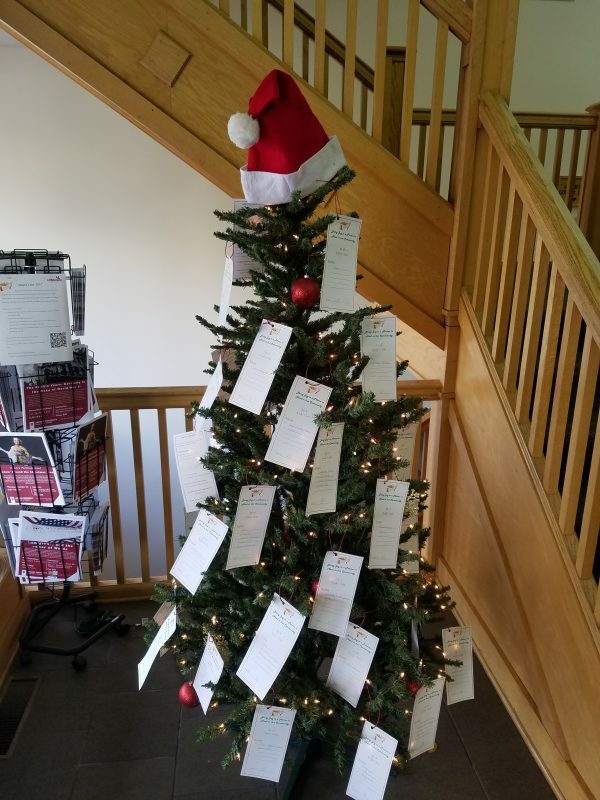 Located this year at the Uptown Plaza in downtown Bloomington, the Angel Tree gives people in our community the opportunity to fulfill the holiday wishlist of someone without a traditional family. Each Tag on the tree has an individuals wishlist on the back and instructions on the back. Our 2017 Angel Tree was a huge success! Every one of our 41 customers who needed Christmas gifts in 2017 was adopted by a member of the community and had presents to open during the holidays! If you would like to partner with LIFEDesigns for next year’s Tree please contact the Angel Tree coordinator at the address below as early as September of 2018. Thank you for helping us make a difference in someone’s life this holiday season. Please contact us with any questions.